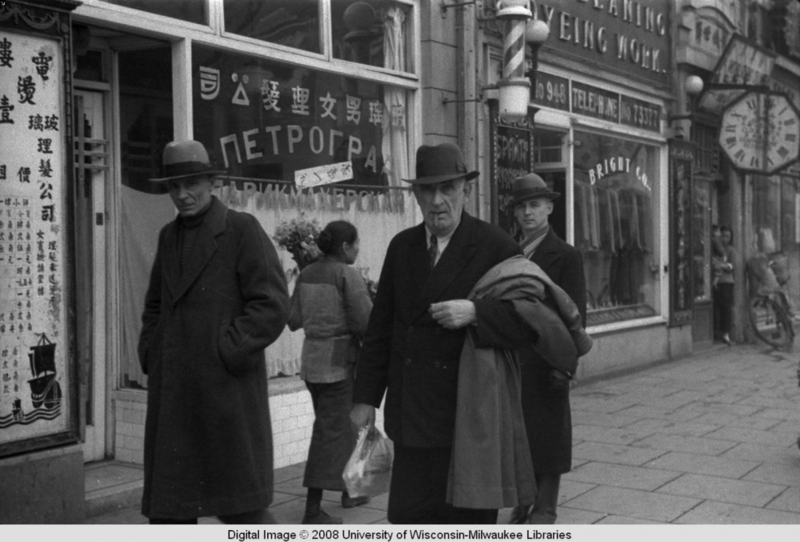 I came across a series of images from the 1930s, of Russians on Avenue Joffre (Huaihai Rd). 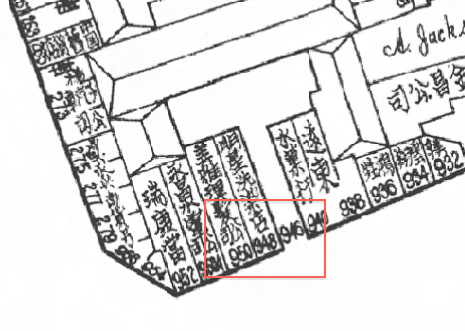 After looking closely I deciphered the location. It's close to the intersection of Huaihai Lu and Shaanxi Nan Lu. Today there is a Parkson shopping mall on that corner. How elegant and cultured Shanghai looked; there is even a street clock! The businesses we see are a hair salon called Petrograd, then a cleaning and dyeing workshop called Bright (at No. 948; this was the main clue) and a gate to a compound (where a woman with a child is peeking). This is the same corner, from the distance. We can even discern the clock face! The foreground is the location of Hungjiao mental hospital and Parc Ravinel (Xiangyang Park). The empty lot is the territory of the French Club (it became a lovely park only after Liberation). 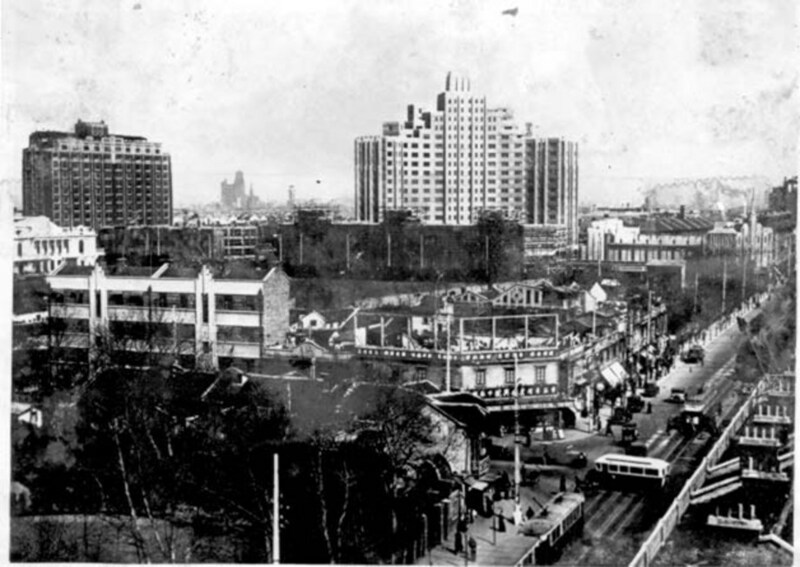 All the main high-rises are in clear view: Cathay Mansions (1929), Grosvenor House (1934), and in the distance between them – Park Hotel, YMCA Building and the Race Club.